Odori-ko just opened on October 1st – but the Takei family has been serving excellent Japanese food for over 4 decades in Hawaii. Co-owners Hiro and Rie Takei tell us more about the restaurant and its community partnerships in today’s Hawaii’s Kitchen. 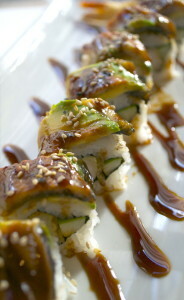 Chef Yasu also shows us how to make a delicious dragon tempura sushi roll.